At the end of August we held our first multi-day clinic in the community of Rio Cana. It is one of the most remote communities we have ever been to. While we were there a new mother became gravely ill and had to be evacuated. This is the story as told by Dr. Kim Wilson. I’m telling this story as a reminder to every one of the amazing and selfless work that floating doctors does every day! We went to Rio Cana recently. For those of you who haven’t heard of it, it’s a community on a peninsula about 3 hours from Bocas. We had not made it that far before because of the distance and also because it’s situated just up the mouth of a river so accessing it can be difficult depending on the weather and tides. We were all very excited at the prospect of going there and it was incredible. It’s such a beautiful place and the people were amazing. We arrived at river mouth and a boat came to guide us in and we were met by lots of the local people who were as intrigued by us as we were them. We started clinic early the next morning – we weren’t really sure what to expect as it was our first clinic there but it was so busy…we saw 124 people on that first day and 140 the next day! A lot of people had problems with colds and coughs, worms and scabies and then there were the more unusual cases such as ichthyosis, machete wounds, insects lodged in ears and a multitude of other issues. It’s hard to explain how amazing it is to see an entire family, from infants to grandparents to dogs and even a sloth at one stage, but working with the locals is an eye opening and heartwarming experience. Just after lunch, Ben asked me to see a lady who had given birth 40 minutes previously who was unwell so Dan, Philippe, and myself headed down to her house to assess the situation. The baby was well but mum was dehydrated and fatigued. We put her on a drip and gave her pain medications and sat with her for a couple of hours and by the time we were leaving, she was drinking tea and had perked up a lot. 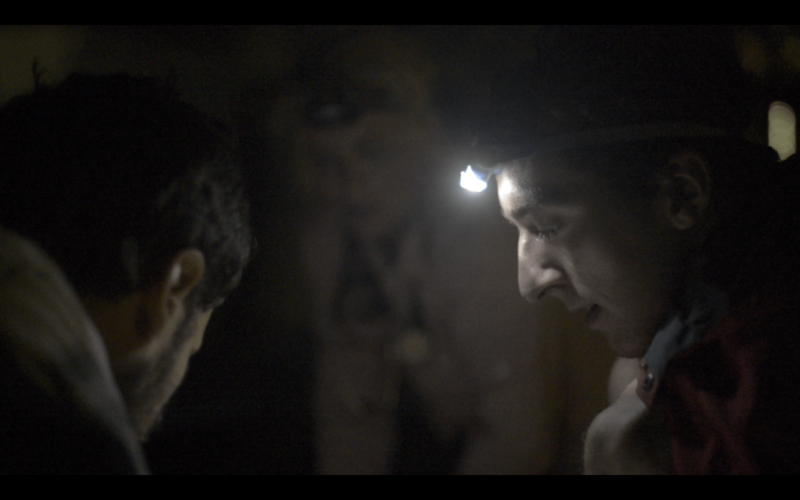 We went back to clinic where we were run off our feet well into the dark hours. It must have been 8.30pm by the time a man came to say that the lady who had given birth had taken a turn for the worse. Ben and I went to her house to assess the situation and it was honestly a shock to see her this time. She was pale, sweating, staring into space and had a heart rate of 126 and a blood pressure of 80/56. For those of you who are not medically trained, this is not a good sign, she was having a massive post-partum hemorrhage. The Floating Doctors team working together to evacuate the mother. It was clear at that point that this lady needed to get to a hospital but the logistics of this were slightly more complicated. We were 3 hours by boat from the nearest hospital and we would have to use our boat to transport her. Aside from the fact that fuel would cost a few hundred dollars, it would also mean that the team that transported her would miss the morning clinic the following day. I looked at Ben and said ‘she has 8 children and a new born baby’ and he replied ‘we can’t put a price on a life!’ We immediately jumped into action and it was amazing to see how the whole Floating Doctors team pulled together to get that woman to safety. 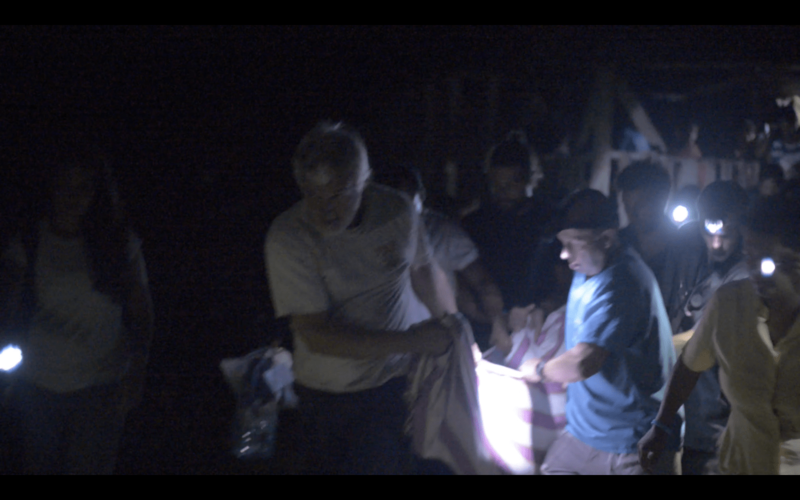 Ben ran to sort the boat, I set up drips and started resuscitating the lady and everyone automatically assumed a role from compiling emergency bags and equipment for the boat to figuring out the logistics of getting this lady out of her small cramped house up the windy, hilly roads to the boat. One thing that struck me during all this was when we were all so focused on the task ahead and I walked into the room where she was and Philippe was sitting on the floor beside her just holding her hand and talking to her. Sometimes in the chaos, we can forget how scared and vulnerable the patient is and just to sit with her and hold her hand and explain exactly what’s happening must have meant the world to her! From left to right, Philippe, Bethany and Dan. We got the boat as close as we could to her house and carried her on a hammock from her house to the boat. We were travelling on a small wooden ponga which, for those who don’t know, is an open top boat. We constructed a bed from life jackets and a thin foam mattress and set her down on this on the floor of the boat. The other factor which I haven’t mentioned, was her 8 hour old baby boy. He was wrapped in a thin white shirt and had barely fed since he was born as mum wasn’t well enough. We had to bring him too so we found a small blanket and wrapped him in this and I put him up my top in an effort to give him as much body heat as possible. Many of the locals came to see the boat off and to wish this lady and her baby well. It was pitch dark when we left and we were not allowed any lights as Elvis (our amazing boat driver) couldn’t see if we turned on lights. There was one man at the top of the boat with a torch and he shined it into the air and gave instructions to Elvis on the route to take. We got to the river mouth and Elvis stopped the boat while we waited for a break in the waves. All of a sudden, the man at the top of the boat shouted go and Elvis accelerated. There were massive breaking waves and each time the boat went over one, we were flung 1-2 feet from our seats back onto the hard wood. There were 4 of us on the rescue team, myself holding the baby like my life depended on it, Philippe who literally lay across the woman to try and keep her still and prevent her from being thrown around the boat and Dan and Bethany who took her vitals and held the drip in place to give her the fluids that she vitally needed! I honestly can’t put into words how everyone worked as a team, assumed a role and excelled at it but sitting on that boat getting thrown around the place, I remember thinking that I would trust my life to these people. Those first 10 minutes in the boat were scary. We couldn’t hold on as we were either holding a baby or drips and at one stage my stethoscope fell overboard. Dan grabbed me for fear I would fall over board with the baby. Finally the waves settled a bit but it was still like we were working on a wooden trampoline! We couldn’t hear the lady’s heart due to the noise, the blood pressure monitor got smashed by the waves and we used only her pulse rate and radial pulse and her degree of interaction with us as markers of how well she was doing. As for the baby, that little boy did not cry or move for the first hour. I was absolutely terrified that he had been hurt by the momentum of the boat or that I had inadvertently smothered him whilst trying to protect him. I couldn’t check because it was too bumpy until we stopped the boat to refuel and the relief to see that little fellah move was incredible. Dr. Kim checking on the newborn during the boat ride. The trip took approximately 3 hours and we pulled into the dock behind the hospital at 1.30am. The gate was locked and 2 of the guys had to scale a barbed wire fence and run to find help. We got the woman out of the boat and an ambulance brought her straight to the emergency room. 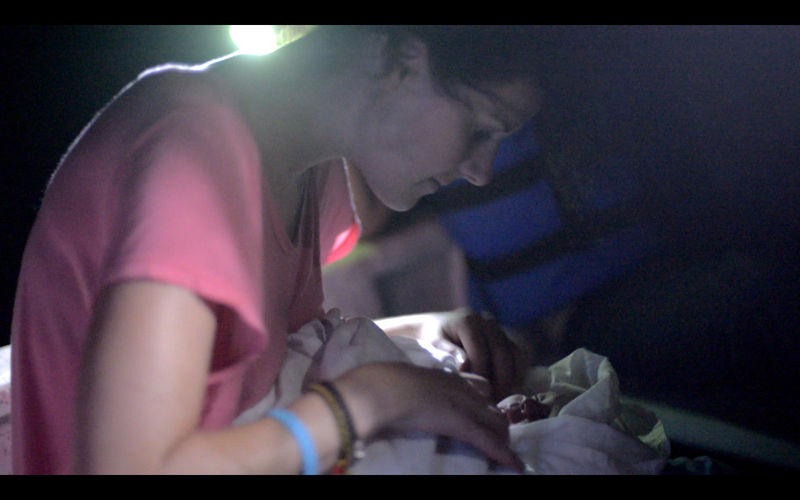 We sat outside the hospital for an hour to make sure mum and baby were ok and then headed back to Bocas for the night. Elvis drove us back to Rio Cana at 8am the next morning for the second day of our clinic. After that, we had no phone reception for 4 days so we hadn’t heard how she was doing. I can’t explain the relief and happiness to hear she was doing well when we got back. I went to Almirante to see her yesterday and walked into the hospital room to see mum and baby alive and well. Mum didn’t speak much but when we went into the room, she looked at me and Sam and gave us the most amazing smile…In that moment, I would have done the trip a hundred more times just to see her smile! Words would not have expressed thanks like her smile did that day – honestly, it reduced me to tears and it’s pretty difficult to look professional when you are crying like a blubbering idiot!!! Dr. Kim holding the newborn while in looking after the mother in the ambulance. For me, the whole experience was mind blowing…the way that everyone came together and worked as such a team, no one needed to be told what to do, they just did it. Everyone was selfless and hard working with a common goal- all we wanted was for this woman and her baby to be safe. She’s going back home today and even as I write this, I have tears in my eyes and all I can see is her dazzling smile! Floating doctors is an extraordinary charity and this is just one small example of the impact that Ben and his team are making on the people of Panama! !